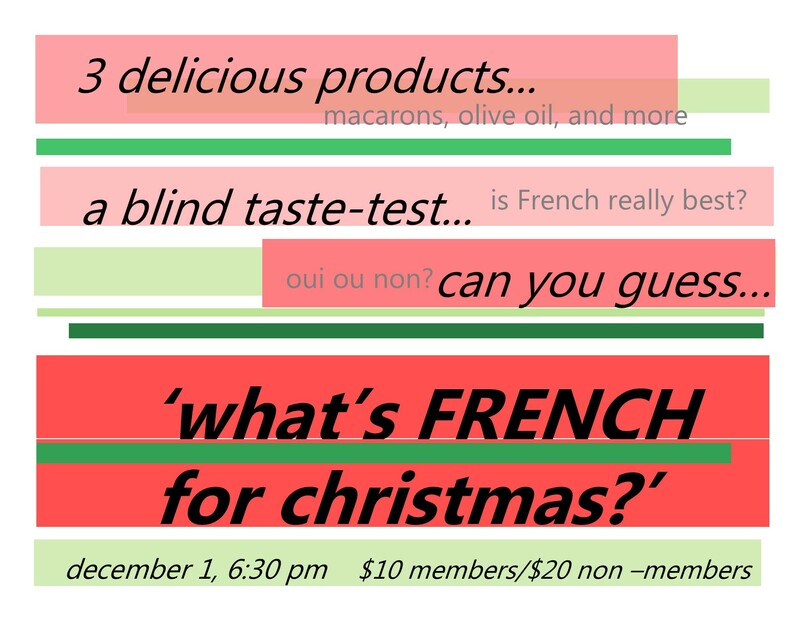 Events > 2017 > December > What's French for christmas? Let’s have fun while enjoying some delicious goodies this holiday season! Just guess which product is French and which one’s not and voilà! 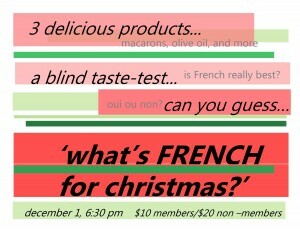 The person who guesses the most will win a gift basket full of French treats featured during the event!